A 30 visa can be obtained upon arrival. This is for anyone staying longer than that, or for other nationalities. Except Kenya and Djibouti nationals, visas are required for all visitors to Ethiopia. Visitors should obtain a visa from an Ethiopian Embassy before departure. · All visas will be valid from the date of issue. Tourist visa, can be issued on arrival at Bole International Airport for nationals and residents of the following countries: Argentina, Australia, Austria, Belgium, Brazil, Canada, China, Czech Republic, Denmark, Finland, France, Germany, Greece, India, Ireland, Israel, Italy, Japan, Kuwait, Luxembourg, Mexico, the Netherlands, New Zealand, Norway, Democratic people’s Republic of Korea (northern Korea), Poland, Portugal, Republic of Korea (south Korea), the Russian Federation, Slovakia, South Africa, Spain, Sweden, Switzerland, United Kingdom, United States of America. o NOTE: Eritrean Nationals shall not be issued a visa on Arrival. 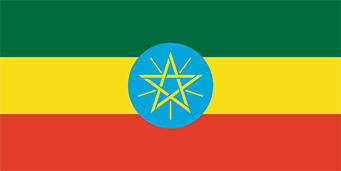 They must obtain an entry visa prior to their departure to Ethiopia. · All applications must be sent via mail with an envelop which has a TRACKING NUMBER. The applications must also have a self-addressed, prepaid UPS, or USPS EXPRESS MAIL return envelop which has a tracking Number. You don’t have to call the Embassy to check whether your application has been recieved or returned back to you since you have the option to track it online at the respective mailing company’s website. If you send any ordinary mail without tracking numbers it will not be processed and will be sent back to the sender unprocessed. A valid, signed US passport. The passport must have at least 6 months remaining after the completion of your stay in Ethiopia, and contain at least one blank visa page. For foreign nationals of Eritrean origin, please fill out the additional Application Form (click here to download the application form). And the Embassy also advice to submit your application at least 30 days ahead of your trip. Except holders of Diplomatic Passport, Official Passport, Service Passport and UN travel document, all business visa applicants should be approved from Ethiopian Immigration. The host company in Ethiopia should request a visa approval from Ethiopian Immigation on behalf of the applicant. Your application will be hand carried to the Embassy, and is usually processed in 72 hours.